In a world of Tinder, Instagram, numerous dating sites, and the overwhelming pressure of a culture attempting to push us into a relationship outside of the will of God, navigating the world of dating and courtship “God’s way” may seem difficult. Even when you fall head over heels in love with someone, it’s important to know what to look for in a godly mate. Just because he is a Christian does not mean he is the one God has for you. It’s important to pray about every relationship in our life including who we date, and to use discernment because marriage is a decision that will impact you more than any other decision. 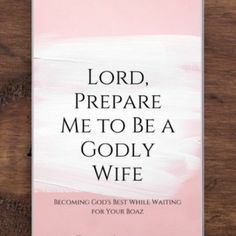 With that being said, we must approach the idea of marriage not in desperation and a willingness to settle, but rather, we must approach marriage using the smart brain God has given us. It isn’t God’s will for your life to settle for something that you know is not from Him. But how can we know if a man is heaven sent or not? Through prayer, fasting, careful consideration, time, and discernment. Below are 10 characteristics that a man should have if you’re thinking about spending the rest of your life with him. I pray the man you marry someday embodies all of these characteristics and I also encourage you to ask yourself if YOU also embody these same characteristics so that you may both be equally yoked. 1. A man after God’s own heart. I once had a friend explain this analogy to me. She told me that life is the race, and she wants to be running as fast as she can towards God, and she doesn’t want a man unless he’s running alongside of her or perhaps even a little further ahead. 2 Corinthians 6:14 challenges believers by telling them to not be “unequally yoked” in a relationship. This isn’t a commandment from God to keep you from dating or finding the right person, but this is God’s way of telling you not to settle and to wait for the BEST that He has for you. So the most important thing you should look for in a Godly husband is a man who is running after God at the same speed as you. 2. A man willing to pray for and with you. Prayer should be the foundation of every believer’s life. Does the man you are in a relationship walk in prayer? Does he make an effort to pray and read the word of God with you? How do you and him spend your time together? When problems arise, does he drop to his knees? These are all very important questions to ask yourself. If the person you are with lacks this, in marriage you will find yourself feeling lonely, discouraged, and unequally yoked. Prayer should be the foundation of both your life and his life. 3. A man that embodies wisdom. God told King Solomon that he could have whatever his heart desired. King Solomon asked for wisdom to govern and direct God’s people because he understood the power of it. We should always consult God on every matter and listen to what He is trying to tell us. Would you book a $10,000 vacation knowing you only have $500 to your name? Therefore, wisdom is important in both his heart and yours because without it, you will not be able to make decisions that will positively impact your life. 4. A man who is smart with his money. I would love to tell you that love is all you need, but there’s a lot that plays into a marriage beyond simply love. According to Magnifymoney.com, 21% of divorces end with their cause of divorce being money. With that being said, as a couple after God’s own heart you must be careful to manage your money with wisdom and not never allow money to become your god. 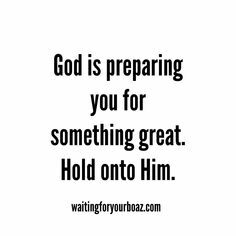 Trust your Heavenly Father to take care of you just as He promised and do your part. 5. A man with good work ethic. Proverbs 13:11 tells us, “Wealth from get-rich-quick schemes quickly disappears; wealth from hard work grows over time.” In a marriage, the husband should be concerned with providing and caring for the family. So it’s important to ask yourself if he embodies a good work ethic, because whether he does or does not have that will impact your future marriage. 6. A man that bears the fruits of the spirit. What are the fruits of the spirit? They are the guidelines in which we can measure ourselves and others. Galatians 5:22-23 tells us that “the fruit of the Spirit is love, joy, peace, forbearance, kindness, goodness, faithfulness, gentleness and self-control.” So a good way to see if the person you are interested in embodies these traits is to place his name in front of each word. For example, “Kevin shows love, Kevin has joy, Kevin has peace, etc.” You should also examine yourself daily to make sure you display what you are looking for in a Godly husband. 7. A man who is willing to be a spiritual leader. 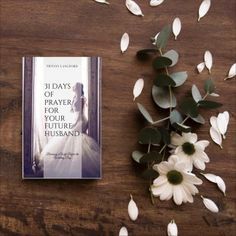 Ephesians 5: 22-25 tells us this, “For wives, this means submit to your husbands as to the Lord. For a husband is the head of his wife as Christ is the head of the church. He is the Savior of his body, the church. As the church submits to Christ, so you wives should submit to your husbands in everything. For husbands, this means love your wives, just as Christ loved the church. He gave up his life for her.” A man of God will love you and cherish you, protect and defend your honor. He steps up to the plate to lead you in love. So I encourage you, woman of God, to wait for this kind of man and settle for nothing less. 8. A man who keeps his word. The Bible gives numerous scriptures on being honest and walking with integrity. In a relationship, communication is one of the strongest aspects and without honesty, you can’t have that. If you don’t have honesty and reliability in a relationship, you have nothing. Therefore, its important to allow time to show if the man who is courting you abides by these virtues and it is also important for you to do the same. 9. A man who is kind to everyone around him. When you go into a restaurant, how does he treat the waiter/waitress? Does he treat the man on top with the utmost respect then is disrespectful to the man in a lower position? If so, this is a good indicator he is not the one God has for you and has some maturing to do. A man of God is kind to everyone around him. You can also watch how he treats his mother, because if he treats his own mother wrong, his kindness for you will only be a temporary thing. 10. A man who will see you and treat you as the treasure you are. You are loved by the King of Kings, and you deserve a man who will love you just as Christ loves the church. Your heavenly Father wants to reward you with the best, so I want to encourage you today to allow Him to write your love story and never settle for less than what He has for you. The MOST important thing you can do is pray for God to give you guidance and discernment in every single area of your life. What else would you add to this list? Share your insight and comments below! What did you think of this article? If you loved it, share it on your social media! Prayer request? Leave a comment below! You are going to LOVE this beautiful devotional. We’re praying about #1, #2, & #7 in my daughter’s boyfriend. She has been chasing God wholeheartedly and this guy just was dropped right in front of her (she believes by God). His #1 fear is not being enough for her… Please play that God will keep drawing him and that he will become the man of God she wants/needs (or that she can gracefully move out of the relationship ). Any other words of wisdom?? Thanks for these 10 keys, I highly appreciate . Stand with me in prayer, I’m praying to God for a partner but nothing seems to come my way, I’m getting fed up n feel like giving up with life.